Elisabeth is an audio researcher, programmer, and educator. She holds an MFA from California Institute of the Arts in Experimental Sound and Dual B.A. degrees from Brown University in Computer Music and Modern Culture and Media. Currently, she is Lead Acoustic Researcher for Samsung Research America where she is responsible for subjective audio evaluation and competitive benchmarking. Before Samsung, she worked as an Acoustic Researcher at Harman International alongside industry experts Sean Olive and Todd Welti. During her time there, she developed and ran acoustic experiments and programmed numerous Mac/iOS audio applications for subjective testing and audio evaluation. 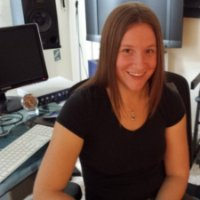 She has also previously worked as Lead Technical Engineer at the Village Studios in the West Los Angeles and as a college instructor of audio electronics and programming. Elisabeth has co-authored six AES publications which include research into audio perception, headphones, and room acoustics. Outside work, her interests include experimental music, physical computing, electronics, and archery.